In an effort to educate Association Board members in the communities we serve, KW Property Management launched a series of events beginning in the last quarter of 2017, with additional dates planned well into 2018. 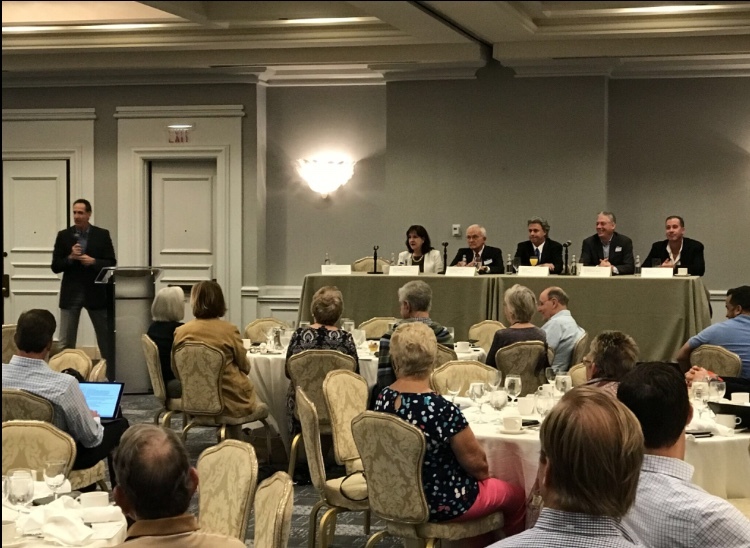 In late November, a panel discussion held at the Four Seasons Palm Beach had five subject-matter experts weighing in on how Condominium Associations can improve property values in the face of new construction, amenities and bells and whistles. While in early December, a room filled with Board Members from local HOAs and Condo Association at the Collier County South Regional Library in Naples came prepared with their most pressing questions. At least five more educational events are being planned for the first quarter of 2018. For details check our website (www.kwpmc.com) or on our “Events” section on our Facebook page (www.facebook.com/kwpmc) for more details and information! « HQ & Broward Offices Expand & A New Office In West Palm Beach!